Fascinating study of flight. Trying to find a new way to see something isn’t always easy (or as successful as this shot). I think that’s what intrigues me here; trying to find a new way of seeing. I’m glad you find it successful, thank you. Your photos always birghten my day. You have your own style and your photos are recognizable which is an amazing quality to have for a photographer. That’s such a nice thing to hear, Bob. Thank you so much for your encouraging words! 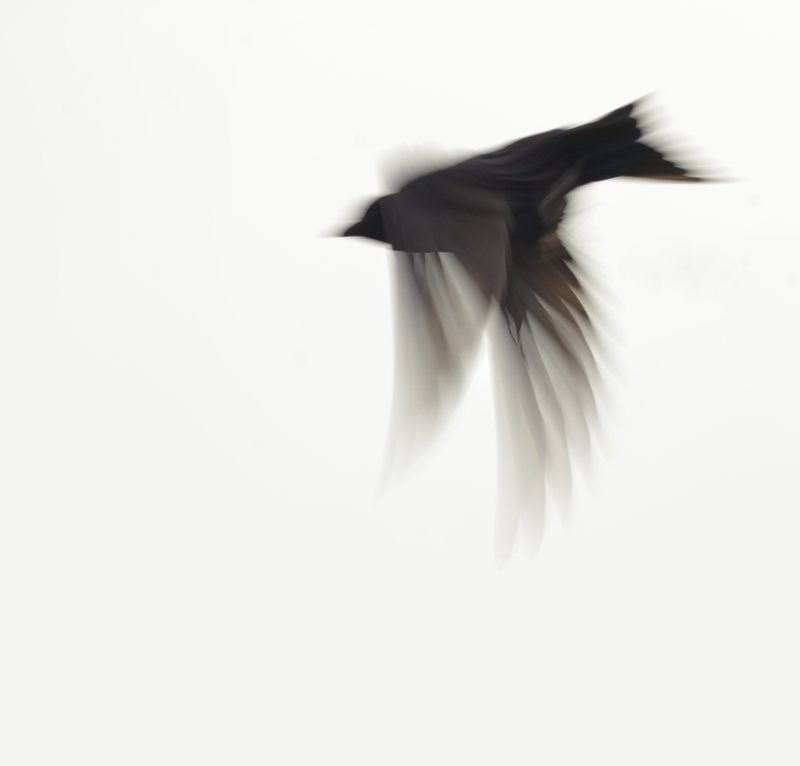 I love this series, Karen – the sense of movement, the near-transparent wings… Wonderful. Thanks very much, Kat. I like the transparency too, their wings are so beautiful! I so LOVE your Purple Martin shots! I would like one or two or three framed in a series on a wall in my home… I would never tire of looking at them! Awesome work Karen. I love that one even more than I love all of your other work! Beautiful! I think the positioning is perfect, Karen! Love it! this is a beautiful series! I find the images mesmerizing, I can’t imagine getting tired of looking at them! Caught between planes of existence. Endlessly fascinating! Love those wings. Very good work, Karen. Very beautiful. I love the wings. You can almost see how the bird flies. Thanks for the good post! An absolute beauty! A flying symphony! Beautiful composition, so much beauty in so little gesture. Movement and lightness captured. Beautiful. Simply beautiful! Just as you say maybe focus and movement results in this wonderful capture! The motion is captured so nicely in this! Great piece. It’s an amazing image. Enlarged the bird looks as if it’s made of a collision of silk. I could never get sick of these, however; they are just breathtaking and this one is pretty near perfect. tremendous capture Karen. Tremendous. It is so good to seep into your images again. Beautiful. You’ve struck the perfect balance, Karen! Your bird imagery is outstanding. I love the way you capture the flash of wings and the photons that reveal them. Your ability with capturing motion and really the essence of nature is astounding…surreal. There is something so pleasing to the eye that makes me sit, stare and wonder. Such a good feeling. That’s an excellent synthesis of static and dynamic. Beauty of the moment lurking in everyday…I love this clear wings. Amazing, Karen. I think this is one of my favourites of yours, Karen, I can’t explain why exactly except that I want to keep looking at it. Beautiful as it appears to still be moving as I view it.